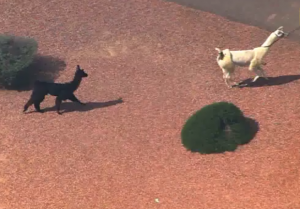 Two llamas succeeded in capturing the attention of the nation last Thursday with a bolt for freedom through the streets of Sun City, AZ. 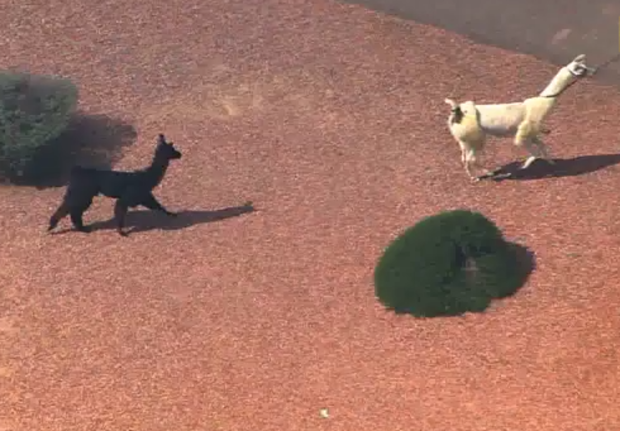 After providing therapy an assisted-living facility, the female llamas left their male companion at the trailer and began an adventure that brought entertainment to thousands of viewers. With cable news cameras rolling and social media was alive with over 220,000 tweets, these creatures spent a couple of hours eluding law enforcement and a makeshift posse until they were finally lassoed and returned to their owner. God’s Word affirms that llama diversions are good for us. Well, maybe not in so many words, but we are reminded in Proverbs 17:22, “A cheerful heart is good medicine, but a crushed spirit dries up the bones.” In other words, from time to time we need to take ourselves and life a little less seriously. It’s healthy from time to time to set aside the weighty cares of life and have a good laugh. Is Paul saying we should not take life seriously? Of course not! The needs of those around us, the importance of our job and ministry, my Christian brothers and sisters constantly facing terrorist threats, a society rejecting the things of God and people all around me facing eternity without Christ – these are serious issues we must face carefully and prayerfully. But it’s far too easy to take life so seriously that anxiety rules the day. That’s why Scripture encourages us to acknowledge the Lord’s omnipresence in life, ministry and the world, and to rejoice in His presence. Rolling our burdens onto the Lord allows us to be, like the virtuous woman, “clothed in strength and dignity; she can laugh at the days to come” (Prov. 31:25). Rejoice! Find occasion to take your mind off the worries and place your confidence in the Lord. Take a break from the burdens, loosen up and laugh more. And, as a good way to get started, watch the llama video one more time.